Episode #11: LaShawn Routé Chatmon, Who Do We Want To Be? 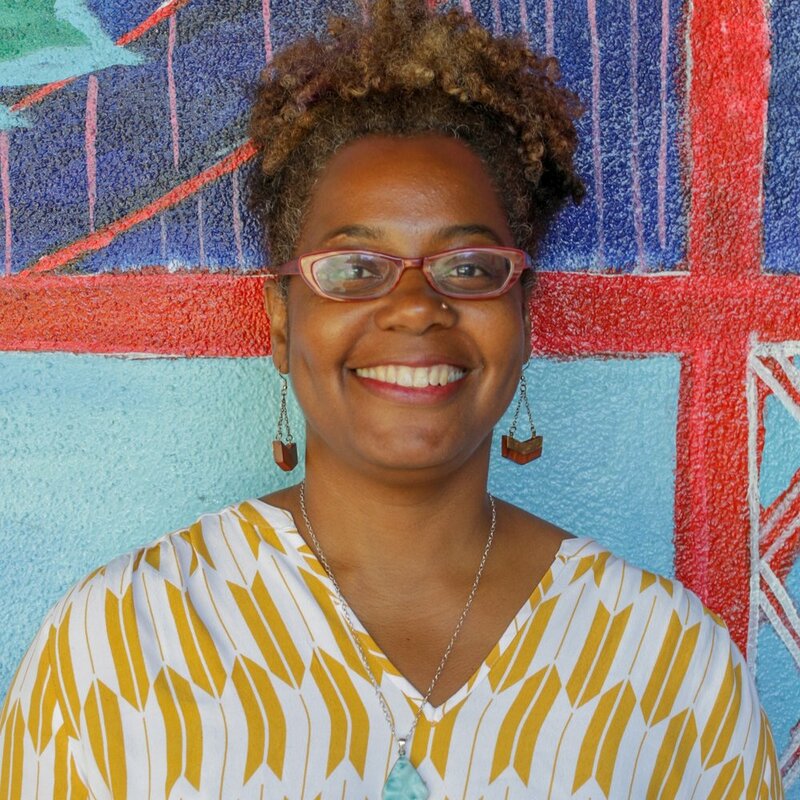 LaShawn Routé Chatmon is the founding Executive Director of the National Equity Project, leading the organization’s transition from the Bay Area Coalition for Equitable Schools (BayCES). Under her leadership, the National Equity Project has become one of the leading voices in a movement to change the conversation and approach used to achieve racial equity in education. LaShawn previously served as a coach and director of the high school redesign initiative, where her team pioneered new school design processes, principal network development and site coaching that transformed educational experiences and outcomes for teachers and students in Oakland, CA. 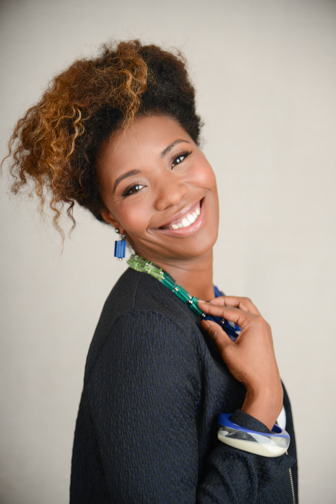 LaShawn was a MetLife Teaching Fellow, and is currently a LeaderSpring ED Fellow. LaShawn earned a B.A. in political science from University of California, Berkeley; a Masters of Arts in Teaching from Brown University; and an Administrative Credential from California State University, Sacramento’s Urban Leadership Program. LaShawn is a California native and resides in Oakland, CA with her husband and their three sons. Over the course of the conversation, LaShawn speaks to her love of learning and school, teachers who most influenced her life and why and how they did, the current state of the equity sector post-2016 and her continually evolving thoughts on the state of education reform here in Oakland. As you’ll hear, the main theme LaShawn repeatedly comes back to revolves around the question of who we, as a community, want to be. Special Offer for GR Project Listeners! The National Equity Project offers many open-registration professional learning opportunities here in Oakland. The next will be Leading for Equity in Complex Systems on September 13-14. Learn more and register at www.nationalequityproject.org/events and use code GRPROJECT for $50 off the registration fee. For more information, check out www.nationalequityproject.org. Amber Childress is a marketing techie, public speaker, and community advocate. She was raised in Oakland and has spent the majority of her life in the East Bay, attending Oakland public schools and Mills College. From her school-age years through adulthood, Amber has benefited from programs like Upward Bound, A Better Chance, and the Oakland Mayor’s Summer Jobs Program which fueled her desire to fight for quality education and opportunities for all students. The support she received in school and from her extended family taught her to embrace the idea that “It takes a village to raise a child”. Childress is a longtime volunteer with Girls Inc. of Alameda County, serving as a mentor, committee member, and class volunteer. She was selected as the recipient of the 2016 Powerful Women of the Bay Innovator Award and in 2017 she received the Jefferson Award for Public Service. She is also a proud alumnae of EmergeCA. Amber currently serves on the Oakland Unified School District Measure G Citizens Oversight Committee and as a Trustee on the Alameda County Board of Education in 2016 for a 4 year term. In this episode, Amber speaks about her role on the Alameda County Board of Education, how she decided to run for office and the supports she sought along the way to get there. Amber also discusses the County Board’s role as an appellate board and how she thinks about and actualizes her responsibility to serve her constituents. 05:00 — Trustee Childress comes to Oakland! Dr. Susie Wise is the founder of the K12 Lab Network at the Hasso Plattner Institute of Design (a.k.a. the d.school at Stanford). She founded the K12 Lab in 2007 to investigate the role that design thinking could play in the education sector. This work helped catalyze a national movement to use design thinking as an approach to project-based learning and a toolkit for ed sector innovation. Since 2012 she has led the team to create innovative personal and professional development experiences for teachers, school leaders, and “edu innovators” that help them build their creative confidence and make experiments happen. Recent programs include School Retool, a fellowship for school leaders, now operating in 18 cities, and the Shadow A Student Challenge, launched in 2016 with more than 3500 school leaders participating. Here in Oakland, Susie is also a co-founder of Urban Montessori Charter School. Susie covers Design Thinking, how she connected her own powerful projects while growing up and in school to her work as an adult supporting school teams to realize their own agency in designing the world around them, and supporting students to do so, as well. Susie also calls out some promising “weaving” work, as she put it, as she seeks to play a role here in Oakland starting this Fall connecting and aligning more organizations towards a powerful vision that doesn’t just tinker around the edges when it comes to education design and re-design. Susie also shares how her personal mother-daughter relationship plays out as she supports her child to design with intention. 04:00 — Dr. Wise comes to The Town! 1:03:00 — Where are Oakland’s Big Wins in EDU Innovation? 1:38:30 — Starting a School???? 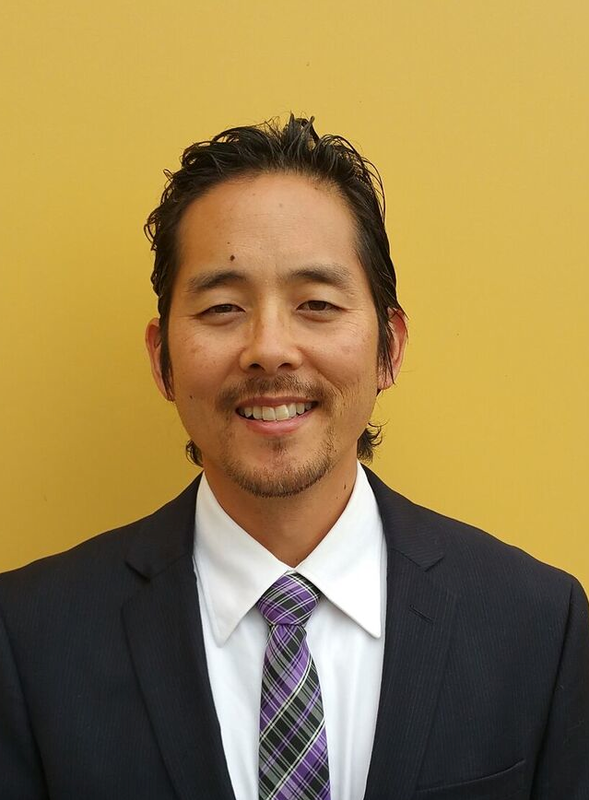 In this episode, we talk with Cliff Hong, who has been the Principal of Roosevelt Middle School in the Oakland Unified School District (OUSD) since the 2010-11 school year. Before that, he worked as an Assistant Principal at Edna Brewer Middle School in OUSD. Cliff taught middle and high school for six years in the South Bronx, Syracuse and in Oakland. In 2015, he was selected to be one of a handful of Executive Principals in OUSD. He is an ardent advocate for public education, which he sees as being absolutely necessary for a democracy to thrive. Cliff discusses the skills and positive experience of working in different schools and systems across the country; how he and the Roosevelt team are thinking about growth and performance, and holding themselves accountable; about personalizing learning and supporting stronger relationships amongst students and adults; and about building a team over time working together. We apologize in advance for the slight echo you’ll hear in this episode. We have our crack podcasting production staff working hard on resolving this problem. Thanks for understanding and we hope you enjoy listening to Cliff share his insights and expertise with you. Mirella Rangel is a Xicana mother living and working in Oakland, and a daughter of immigrants who organizes for a more connected world where people value themselves, others and the earth. She is currently Director of Community Organizing for GO Public Schools, and has worked for the past 20 years in and around Oakland schools as a teacher and administrator and in the non-profit sector. Mirella just launched GO's 1Oakland campaign this month, working with families and community to change policies and practices that are barriers to a more equitable school system. Mirella shares her wide range of experiences with community organizing and movement building here in the Bay Area, ranging from her days as a student U.C. Berkeley all the way up to the present day. Along the way, Mirella discusses the personal work and routines she uses to prepare herself to do her job each day, the connections she strives to make for her family and herself to her ancestors, the state of innovation in community organizing and some front lines stories of successes and challenges she faces in her work at GO. 2:45 - Mirella as Guest and as Listener! 29:00 — How are we organized and not organized. And what organizing means for Oakland’s kids. Dr. César A. Cruz- From marching 76-straight miles, to hunger striking for 26 days, César has dedicated his life to fighting for justice. He was born in Guadalajara, Jalisco, México and migrated to the U.S. at a young age with a single mother and grandmother. He grew up in South Central L.A. and moved to the Bay Area to study. César graduated from UC Berkeley with a B.A. in History. He has been an educator for 23 years, in positions of leadership for the last 17 years. He co-founded the independent school, Making Changes, out of his home, and has sought to create autonomous education spaces. He is proud to have overseen the Homies Empowerment Program serving gang impacted/involved youth in Oakland, CA. and now they are in the process of developing a school. He is the author of two books, Revenge of the Illegal Alien, and Bang for Freedom. He received his doctorate in Educational Leadership at the Harvard Graduate School of Education, becoming the first Mexican immigrant male to do so. The recipient of the Jefferson Award for Public Service, César served as a Bridge Fellow for the national organization TNTP, and is now transitioning to become a school developer with Educate 78, and an educational consultant supporting K-20 educational pipeline programs. Amidst all, he is proudest to be a husband, and father of three children: Olin, Amaru and Quetzali. He can be reached at Cesar_Cruz@mail.harvard.edu . 57:00 — Homies Empowerment gets “allowed” because of a Ph.D.
1:11:00 — Who are the most marginalized? Seth Hubbert is the Executive Director of Tech Exchange, a nonprofit that provides equitable technology access and support to the East Bay through refurbishing donated computers. Before joining Tech Exchange, Seth served as an educator for 10 years. Beginning in the classroom as a Teach for America Physics and Chemistry teacher in New York City, Seth developed a passion for how technology can support and enhance student learning. As a Director of Academic Technology at French American International School in San Francisco, he led the vision and implementation of blended learning, integrated coding, 1-to-1 student device access, and design technology programs. He’s served on the Technology, Innovation and Design committee for the European Council of International Schools and has instructed university courses on STEM curriculum for new teachers. Seth has a B.S. in Physics from Whitworth University and a M.S. in Education from Pace University. In this episode, Seth shares the Tech Exchange's amazing history, how he leads and learns from his diverse team, the organization's role in Oakland and the greater East Bay as a partner to cities and schools and the joy he experiences from providing access to technology to so many families. 6:00 High school remixing gets Seth into tech – demand his tracks! 52:00 Bruce Buckelew, Founder, hands over the reins, and working with Domingo Vasquez and the rest of the team. @TechXOrg on Twitter and Facebook, and @SethHubbert, techexchange.org for volunteering, donating hardware, and donating money. Claire Shorall, Manager, Computer Science, works on implementing a district-wide vision to ensure Oakland Unified School District's students receive high quality CS education. She supports curricular and teacher professional development and partners with public, private, and nonprofit entities to expand work-based learning and extracurricular opportunities. Prior to leading CS for the district, Shorall taught Biology, Calculus, and Computer Science at Castlemont High School, where she still maintains one AP Computer Science Principles course. In 2015, she was one of 10 national recipients of the Teach For America Excellence in Teaching Award. In this episode, Claire goes into great detail regarding how she's contributed to creating one of the most successful and widest reaching public school computer science programs serving children of color. Claire speaks to how, as a religious studies major, she came to computer science in the first place, the importance of continuing to teach while also working in the central office and how she leads and follows as a white woman in a position of power. Of course, she also answers our five questions, highlighting yet another incredibly inspiring story about one of the Oakland Unified School District's students. Kennan Scott is an urban father, husband, planner and PLTW engineering teacher at West Oakland Middle School. He is laser-focused on creating the next generation of tech leaders and critical thinkers. The Founder of @CODEdAcademy, in this episode, Kennan talks about his own education upbringing, his experience as a black engineer and thoughts about how to better support engineers of color, as well as two different schools he's involved in launching in Oakland. Along the way, Kennan also shares which Marvel comic was his favorite growing up (our guess is you've never heard of it) and his forays in both the professional rollerblading and child acting fields. We had a great time speaking with Kennan and expect you'll find more Oakland education gems in his words. Show notes shortly! Strap in and get ready for a non-stop tour of Charles Cole III's life and life's work. Charles focuses on the advancement of all youth of color, but, more specifically black males. This passion comes from his own experiences growing up without proper support. His life's goal is to better the communities he grew up in through his work. He has has served as a social worker, a Director for Teach for America, the Vice Chair of the California Young Democrats, Black Caucus and at the Director level with various youth-focused non-profits. Charles is a national speaker, a writer and can be found in Oakland and around the country working with youth on how to equip themselves appropriately to lay the ground work for a bright future. Charles is currently an Entrepreneur-in-Residence at GO Public Schools focusing on building student navigation skills and voice in education. Dr. Brian Stanley is an Oakland resident, the Executive Director of the Oakland Public Education Fund and a member of the Oakland Unified School District's Executive Cabinet. In our very first podcast, we speak at length with Brian about a wide range of topics including how the research he did for his Ph.D. informs his current work, why a Truth and Reconciliation process in Oakland might not be enough to overcome the issues that divide us in education, why education isn't all about kids, how the Ed Fund works with its donors and what, exactly, the Executive Cabinet does. Brian also shares who he believes to be the among the most influential voices in Oakland education today, what he would do first if he were Superintendent and what he gets to experience in his job that he wishes everyone else could see.